Here’s a meditative kind of puzzle box, with a zen-like peacefulness. The artist Randal Gatewood must have loved the ideas contained in the centuries old teachings of Zen and Taoism, as thet appear to have factored into a number of his works. Such work calls for a moment of zen. Set amidst the backdrop of one of Manhattan’s swankier spots, the roof top hotspot bar at the Standard Highline Hotel, the Top of the Standard Bar (aka the Boom Boom Room) would seem the last place to find a moment of zen. Of course, it’s just the kind of place where you could really use one. Perhaps that’s why bartender Will Talbot created his “Moment of Zen”, but for whatever reason, we can all enjoy it now. 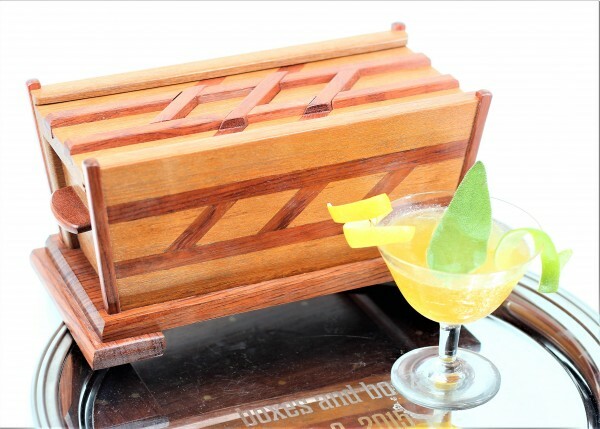 This is a solid bourbon whiskey cocktail, which is certainly a good place to start when looking for some zen. It adds a nice zing of lime, and an unexpected whirlwind of flavor from yellow Chartreuse, which might derail the serenity. But it’s balanced with an incredibly soothing syrup made from jasmine tea, which mellows and balances the flavors and brings the calm. 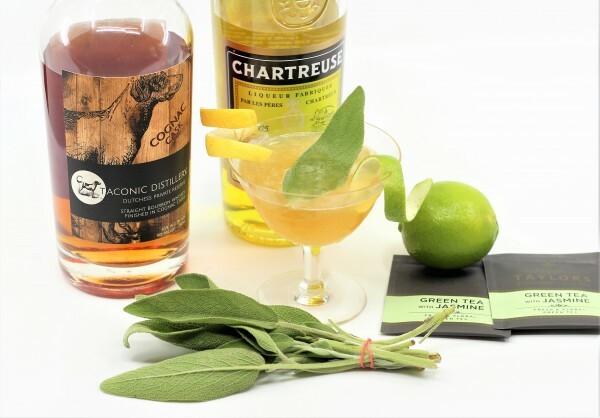 A little sage brings depth and wisdom, and the result is a truly delicious cocktail. The original is served with a fried sage leaf garnish as well, which is pretty neat, but I found my moment of garnish zen in a different way. Cheers! Shake ingredients together with ice and strain into a favorite glass. 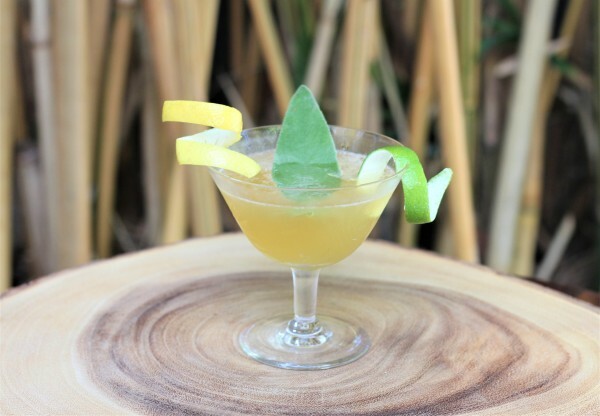 Garnish with a fried sage leaf or citrus twists.